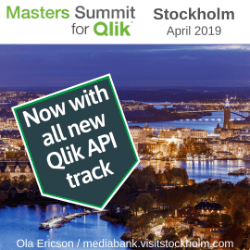 Nifty trick for INLINE tables » The Qlik Board! I’m working very quickly and need to generate some additional data. I’m building a control table to use as part of the ETL script. For example, setting up a loop and I want to pull a value from the INLINE table into each loop iteration. The technique I’m going to demonstrate is relevant to usage #1 above. In fact, it’s only useful if I’m going to base my INLINE table (in part) on data that already exist in my data model. 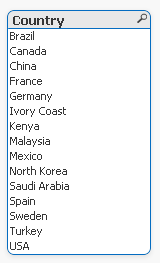 What’s the easiest way to “append” the Region onto each Country record …. ??? Create a List Box on Country. 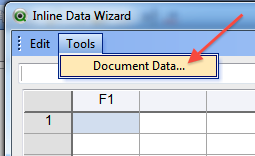 Then right-click and copy possible values. Then paste those values into Excel for further manipulation. Or more typically paste them right into the INLINE load wizard. Make sure the source field already exists in the data model. In our example it’s the Country field. 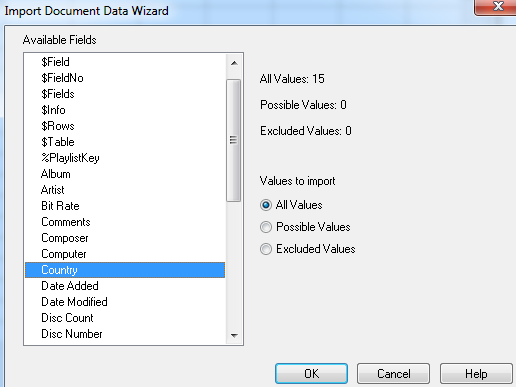 Locate the source field in the list of Available Fields. You will have an option to select All Values (this is what I always end up using) or take advantage of the associative model if selections have already been made in the dashboard. I hope you find a chance to use this shortcut in your future projects. Good to see you blogging again. I hadn’t noticed the tool menu item before, but it definitely looks like something that I will be using in the future, great tip! 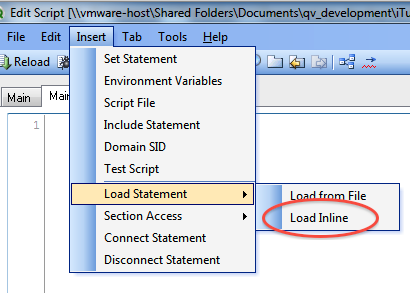 Don’t forget you can easily edit INLINE tables in QV 10. 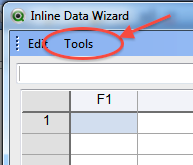 In the script, press CTRL+E, to pop up the inline table you’ve already inserted. This makes life a lot easier when dealing with inline tables with loads of columns. Very nice tip that help a lot when you have no time at all.